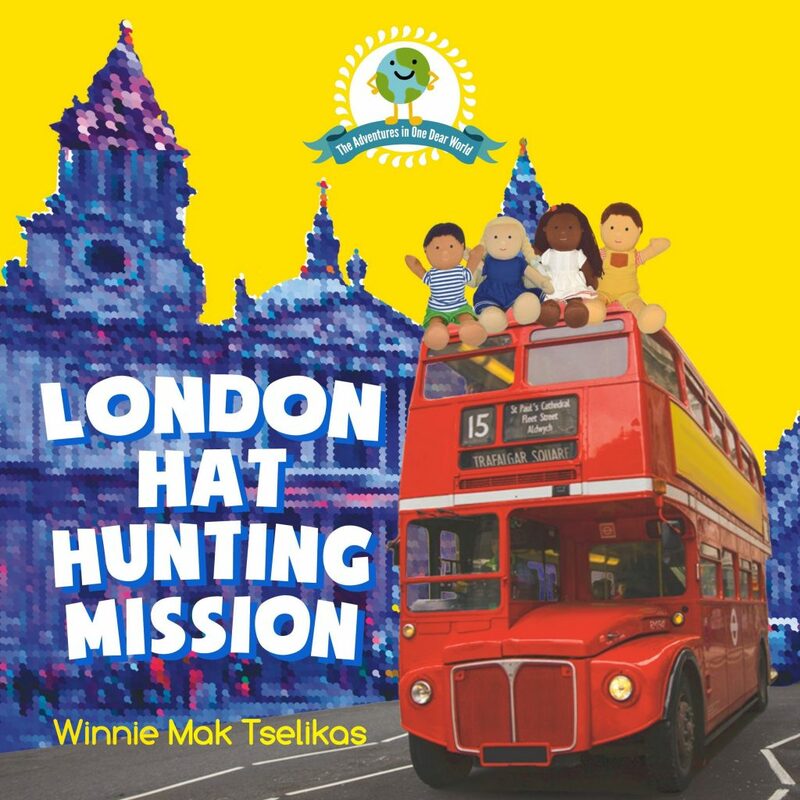 Today I’m welcoming Winnie Mak Tselikas to my site to chat a little about her brand new children’s book, London Hat Hunting Mission, as part of her fabulous blog tour. I am Chinese from Hong Kong and my husband is half French half Greek, we have a 3-yr old son. Having grown up in a traditional Chinese family and now having my own multicultural family gave me food for thought on my own cultural root, role as a mum, and the world I want my son to be in. I believe the world can become a better place when people can better appreciate themselves as they are and at the same time respect the differences in others. So when I found that I couldn’t find a nice black rag doll for my son easily, it inspired me to create multicultural doll characters so that children from different part of the world can be represented in toys and books. When I first moved to London, the diversity of people I got to meet here amazed me. The idea of this story in London comes naturally when I want to write a storybook that explores cultural diversity. I chose the name of one character after my Indian friend. I develop the characters base on an existing personality model, so each character has his/her own personality. For example, Lea is logical and analytical while Parth likes hands on experience. Have you always loved hats?? 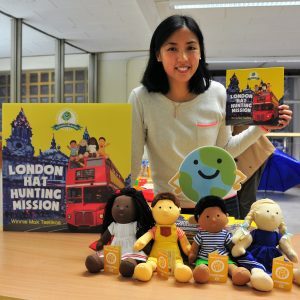 I don’t love hats in particular but I find it an illustrative way to introduce cultural diversity to children on picture books. I also like to imagine everyone having a unique invisible hat that controls how we think. While each of us has a different hat, I can’t really expect other people think like I do. It excites me each time when I hear from parents or teachers that they think positively of my book. I am also happy to receive plenty of interest from schools when I approach them on an upcoming book tour around London, so the opportunities to tell the story in front of a big group of children excite me too! My plan is to make the Adventure in One Dear World a series for the dolls and Mr Globe to travel around the world! I will probably set the scene of my next book in Paris. Later on, I would like to incorporate more cultural elements such as language, food, festivals in the future books/products I develop so children can have an all round experience through the stories. 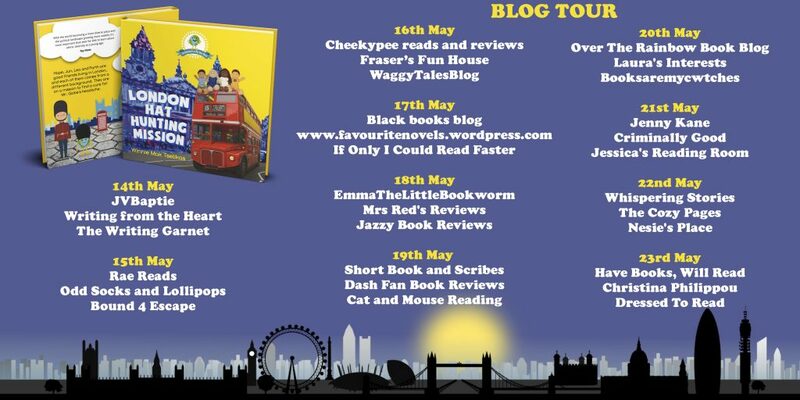 Don’t forget to catch every leg of the blog tour!